This was my last theatre outing of the year, and what a way to end a year. Everyone should be talking about Jamie if they aren’t already. From what I saw on stage in front of me, and the fact that this is a new original British musical, Jamie is something special indeed. First and foremost, Jamie is just an excellent musical. It has everything a good musical should; excellent music, a strong story and a stellar cast who execute it all perfectly. But we all know that pulling that off isn’t easy. 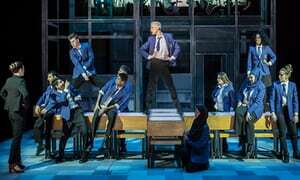 We often lament the lack of musical theatre writing in Britain, this shows we do have the capability, if only theatres could invest more in developing the work. What Dan Gillespie Sells and Tom McRae have created is a musical that sounds authentically ‘musical theatre’ while keeping that pop music edge that makes it feel current and fresh. There’s a great balance between the up-beat ensemble numbers, and emotional ballads to move the story along. And the music itself is catchy and infectious. 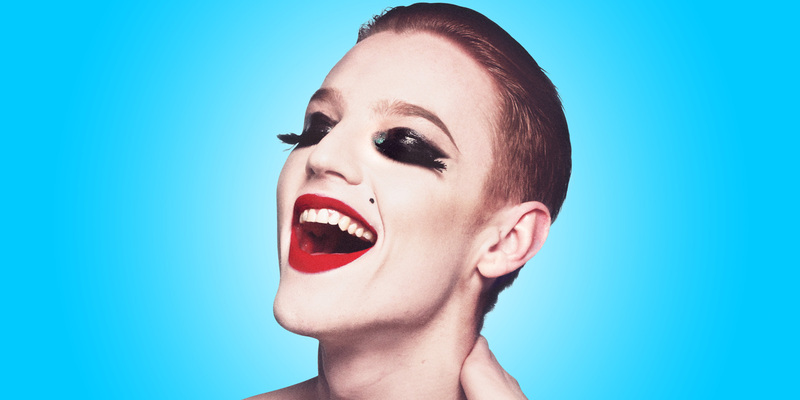 The story- the ‘fairytale’ re-telling of Jamie the 16-year-old Drag Queen, combines all the elements of a classic coming-of-age story with a twist (and infusion of camp fabulousness). It’s genuinely funny, as well as heart-warming. There are moments of that real elation you get when musical theatre starts to ‘fly’ and the sheer joy of it is enough to bring tears. But there’s also a balance of genuine heart, it’s a simple story really but one that evokes ideas of love, family and friendship that are truly sweet and heartfelt. The cast is outstanding, and elevate the already brilliant writing to another level. At the heart of it all John McCrea shines as Jamie. He has every gesture down to an art, creating ‘Jamie’ and ‘Mimi Me’ perfectly enshrine in camp fabulousness. But it’s not all struts and sequins- his Jamie feels real, we see the emotion and teenage struggle beneath and it feels real, not created for sentiment. He’s a joy to watch, but also like the rest of the musical, keeps an honesty to the performance that really makes it. 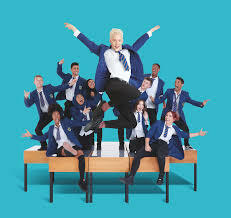 Supporting McCrea is an excellent cast of young actors- Lucie Shorthouse as Pritti and Luke Baker as school bully Dean. I saw understudy Rebecca McKinnis as Jamie’s Mum Margret and she was truly excellent while Mina Anwar as Margret’s best friend Ray brings some great comedy to the family dynamic. The cast works impeccably as a unit bringing Jamie’s world to life, and it has the feel of a real ensemble piece despite the stand-out roles. To see on stage somewhere that resembles where you grew up shouldn’t’ be underestimated. I feel like I went to that school (and taught in it later) from the kids being told they should aim for ‘Forklift Truck Driver’ and those thinking even a job is optimistic. To the diversity of the kids there (and thank you, for putting two Hijab wearing girls on stage. I’m whiter than white, but my school wasn’t, and I loved seeing groups that looked like my class on stage). To Jamie’s home life/home. The house with the ‘yard’ rather than a back garden, what I imagine to be a terraced street in Sheffield. It’s working-class life without resorting to a 2017 ‘Oliver’ scenario. It felt real. So, thank you for that, for a world on stage that looks like the one I grew up in. It also feels like a world I grew up in. The world where ‘men are men’ and don’t like boys in dresses. And the world where Mum’s (and surrogate aunties) are strong, keep things going and will do anything for their kids. The kids felt real as well- the fact that kids can be incredibly cruel but also, they can be incredibly kind and pull it out of the bag when it matters. Yes, this is all in musical theatre land, it’s the fairy-tale version. But it’s a fairy tale that felt like it had enough truth to it to be honest. To see also a musical that unapologetically and matter of factly embraces LGBT characters is frankly where we should be in 2017 (or 2018 now). That it’s simply not an issue for Jamie or his family that he’s gay, that he’s accepted and supported sends a powerful message. Yes, it might be a fairy tale for some still, but we shouldn’t underestimate the power and importance of having characters, and stories like this on stage, even in 2018. Even if Jamie’s world isn’t one that’s familiar there’s something special in this musical. It combines such a joyous energy, and honest emotion is something that captures the heart. I cried tears of joy at some numbers, and was taken with tears of emotion alongside the characters. It’s a musical that left me with such joy and hope about the world we live in. And surely that’s something we all could do with more of (that and a little bit of sparkle).